Need a Laptop Screen Replacement or Repair? Need a Laptop Screen Repair or Replacement? We replace screens on Dell, Acer, HP, Toshiba, Lenovo, Apple Mac and much more. We can generally quote, order and replace your screen in the same day. Pop into us at Right-Click, 70 Camden Street, Dublin 2. Need a Laptop Screen Replacement in Dublin? We replace a vast array of laptops screens at Right-Click with the highest quality parts, at an affordable price. We are the independent specialists in providing great value, genuine laptop screen replacements and have a reputation for turning them around at lightning speed too! We can generally quote, order and replace your screen in the same day. From small cracks, to big drops - we can repair and replace things quickly for you. Dim Dark Display? Screen Flicker? Screen turns on an off when moved? 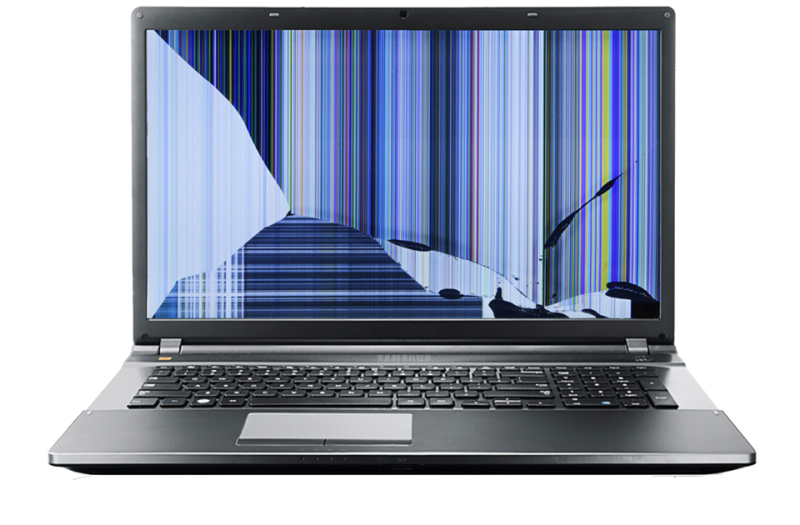 We always recommend a diagnostic first, before we replace your laptop screen in case of underlying issues. Horizontal or Vertical lines on display - A quick over the counter assessment should let you know if your laptop needs a screen replacement or if it’s a (more serious) graphics issue. Damage to lid or bezel - We can quote you on laptop replacement parts, and can assess the viability of replacement parts or replacing the laptop instead. Walk-in Laptop Screen Replacement Service - No Appointment Necessary. We replace all makes and models including Toshiba, Dell, HP, Asus, Acer, Apple Mac and Lenovo. 90 Day Warranty on all our work.